#2. 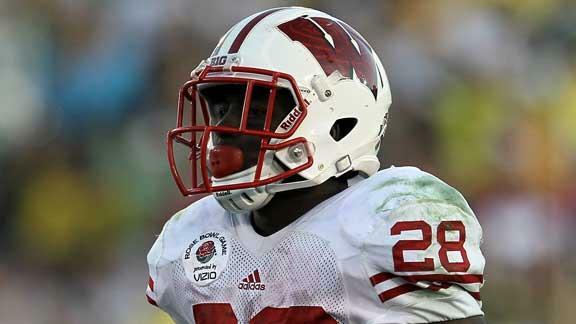 Montee Ball, Wisconsin: Now that the nation knows who Montee ball is, Heisman Voters will be on the look out. This guy is special and will be a top tier NFL running back, but the college system of ranking the best player always leans towards the QB. Without a star QB on Wisconsin, Ball should get many touches and that means more TDs. I don't think he'll get 39 TDs again, but he'll put up Heisman-worthy yards. #3. 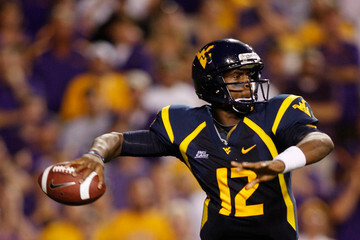 Geno Smith, West Virginia: No one will benefit more from West Virginia's move to the Big 12 than Geno Smith. Putting up monster numbers in the Big East is cool, but it's hard to attract Heisman talk unless you are a title contender. The Mountaineers move to the Big 12 does make them a title contender, which will put Smith in the spotlight. If he can perform against top-tier football teams every week like he did against Clemson in the Orange Bowl, Smith will be a dangerous Heisman contender. #4. De'Anthony Thomas, Oregon: The one thing I can't stand about the Heisman is that it tries to give NFL prospects a ton of publicity before the NFL draft. The voters always seem to forget that this award is for the best college football player, not the best NFL prospect. De'Anthony Thomas is a player who has potential to break all college football rushing records, but it is very possible that the Heisman voters will not crown him the title of "best college football player" just because he won't succeed in the NFL. #5. Le'Veon Bell, Michigan State: Michigan State looks to be a very good and physical team in the Big 10. This means that they will shut down opposing defenses and hand the ball off to Le'veon Bell 30-40 times a game. He is huge for an all-down running back at 6'2", 244 lbs and figures to be one of the top running backs selected in either the 2013 or 2014 NFL draft. If Michigan State can muster some respect around the nation as a football power and maybe even recieve a Rose Bowl berth, Bell will be the greatest benefactor. 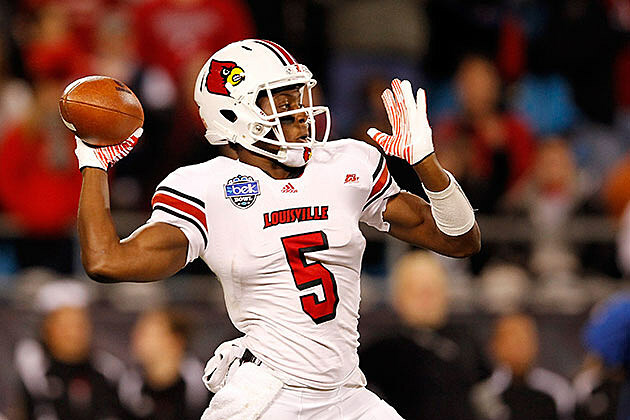 The Darkhorse: Teddy Bridgewater, Louisville: Every year, there is a darkhorse contender in the Heisman race. Last year, it was RG3, who actually took home the hardware. For this year, I bet the darkhorse will be another dual-threat QB, this time from Louisville. If Louisville absolutely dominates the Big East and goes to a BCS bowl game, it's all because of their QB, Teddy Bridgewater. He is accurate and fast, but would benefit by bulking up a bit.